Moving internationally demands specialized skills and resources. Starline employs moving professionals who understand all facets of international moving, including customs clearance, international documentation and air and sea freight. As General Manager Cindy is responsible for Starline’s processes and procedures and is the senior contact for all service related issues. 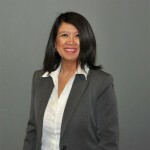 Having spent over 20 years of her career in various positions with Starline, combined with her information technology responsibilities, Cindy has a unique understanding of what is required in a successful move management software program. Cindy has been instrumental in the development and implementation of Relovision, Starline’s proprietary move management software. As well as several professional development courses Cindy holds a delphi programming certificate from NAIT. Paul’s information is coming soon. Grace began her career with Highland Moving in the domestic market and moved to Starline Overseas in 2001. Grace’s previous 10 years of management and customer service experience in the hospitality industry combined with her willingness and enthusiasm to master a very detailed process have made her the perfect candidate to consult transferees and coordinate international relocations. Grace graduated from the EMI program with the FIDI Academy. Grace’s primary focus with Starline is taking care of our private client looking to move internationally. Having relocated from the Netherlands herself – she understands the processes and the impact on families.